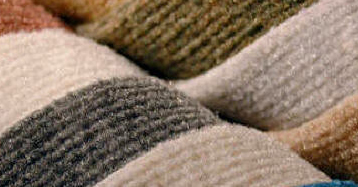 Noise Absorption Fabric – An attractive noise absorption solution. A dimensional fabric that offers excellent acoustical properties, unmatched fade resistance, and a fire/smoke retardant Class A rating. With the aesthetic appearance of wall carpet, it is lightweight and easy and inexpensive to install. 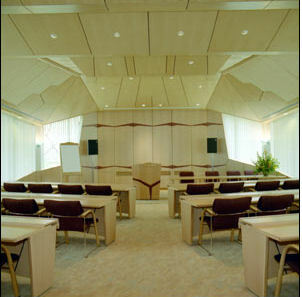 Acoustic Fabric is resistant to moisture, mildew, rot, bacteria and is non-allergenic. any area where speech intelligibility is a critical factor. Unlike other wall fabric products that are tested “over acoustical board”, the acoustical specifications for our Noise Absorption Panels are for the fabric applied directly to a solid wall surface. Weight: 23 oz./ lin. yd.